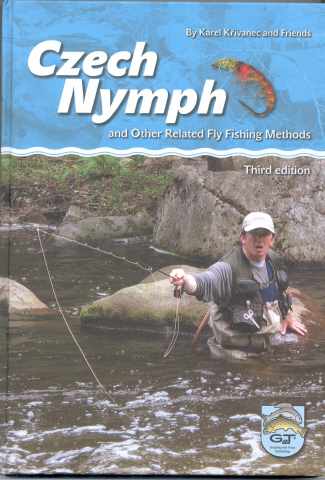 The Czech nymph has been a fly fishing phenomenon that has won convents all over the world and to all of them, as well as newcomers to the sport, this book will prove invaluable in creating a greater understanding of the technique of short-nymphing under the rod tip. The more experienced angler will find herein about 150 nymph patterns that track the origins and evolution of such patterns from the pioneering days of the technique to the cutting edge developments that have come to the fore in the intensity of contemporary World Fly Fishing Championship competition. The author and his collegues have participated for nearly twenty years in such competitions, an era that has seen the Czech national team become acknowledged and respected as world leaders in competetitive fly fishing. Their book is the first Eastern –European flyfishing publication translated into English. As such it has attracted a great interest since it reveals all secrets of this original fishing method and the extent to which it has adapted and incorporated other methods and patterns that have been tried and tested by competition fly fishers and have exponentially increased our angling succes rate and enjoyment.